If you're looking for a great vegetarian mushroom pizza recipe, you'll be glad to know there are plenty of simple options out there to please your whole family. There are really only three elements to any good pizza: the crust, the sauce, and the toppings. Here are a few tips for finding or creating your own vegetarian mushroom pizza recipe. Unlike vegans, many vegetarians do not limit themselves from dairy and eggs. This increases options for choosing a pizza crust for your recipe. Here are just a few ideas. 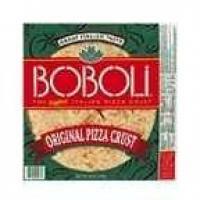 Pre-Baked Crusts - Companies like Boboli make pre-made pizza crusts that need only to be topped with sauce, faux-cheese, and mushrooms. Ready-to-Bake Dough - Trader Joe's makes some of the most popular ready-to-bake pizza dough on the market today. However, there are many other brands that create tasty dough you can purchase from the store, take home, and prepare for pizza. 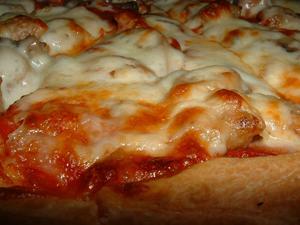 Dough from Scratch - There are a variety of websites that offer recipes for pizza dough. Allrecipes, Food Network, and Food are all excellent online resources to find delicious dough recipes. If you think there's only one way to sauce a pizza, you're in for a treat. Here are a few saucy ideas to make your pizza a truly tasty treat. Pesto Sauce - A blend of basil, garlic, and parmesan cheeses, pesto sauce lends a richness to your pizza that people will be talking about for days. Garlic Butter - Everyone loves a good garlic butter, so why not put it on your pizza in place of sauce. Traditional Tomato Sauce - While tomato is the most basic of pizza sauces, there are many ways you can spice up your sauce. Try mixing in some chopped or pureed red bell or jalapeño peppers for a little kick. The toppings for a good vegetarian mushroom pizza recipe are simple: cheese and mushrooms. Anything added to that is just bonus. Here are a few ideas for great cheese and mushroom combinations. Making pizza is truly simple. Spread sauce on your dough, top with cheese and mushrooms, and bake for approximately 20-25 minutes or until the cheese turns golden brown. It's a vegetarian meal your whole family will love.